DUBLIN, CA–On February 21, 2018, the City of Dublin named Dublin High School senior Allison “Ally” Loo as the 2017 Young Citizen of the Year. 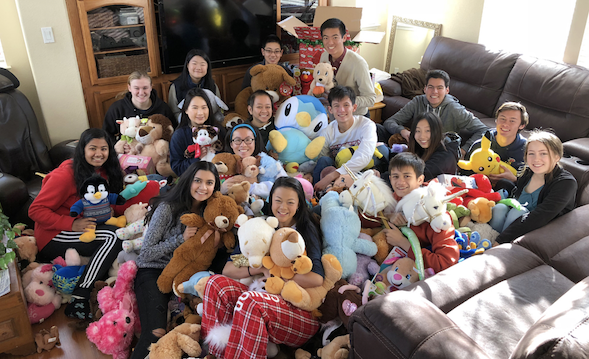 Allison is the founder of the Plushies Aimed to Comfort Hearts (PATCH) club at Dublin High School. 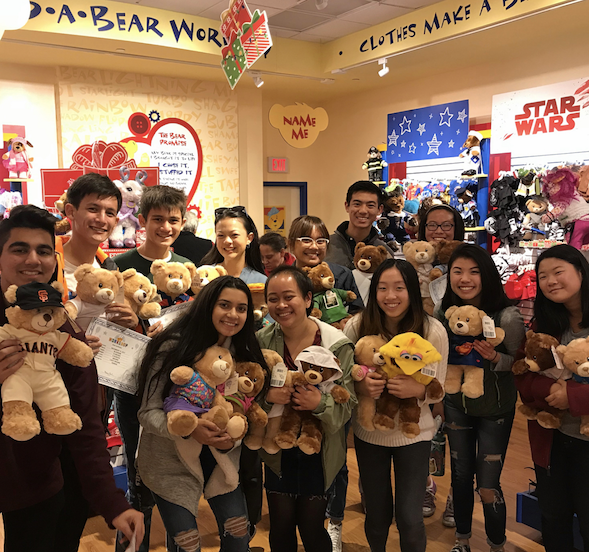 A student-run club, PATCH has partnered with the CALICO center in San Leandro; the club collects stuffed animals and delivers them to children who have suffered abuse. Allison has demonstrated remarkable courage and resilience, bravely sharing her personal story of abuse and dedicating herself to making a positive difference in the lives of other children of abuse. I recently had the opportunity to sit down with this inspiring role model, who has taken a difficult personal experience and turned it into something positive. What prompted you to share your story and start your own club dedicated to helping survivors of child abuse? Allison: “Everything happens for a reason. Even though something bad happened to me, I believed I could turn it around and make it into something positive — something encouraging, uplifting, and empowering. I’m not going to lie: I struggled a lot with sharing my story. I worried about how people would take it and how they would judge me. It made me really uncomfortable at first, but thankfully my friends were really supportive. They were the ones I told first, and they helped me realize that people wouldn’t judge me for what happened. My friends and I decided to put the club together and reached out to CALICO to find out how we could help. When you first started PATCH, did you ever envision that it would be so successful, grow so quickly, and bring comfort to so many children? I understand that at the Dreammakers and Risktakers Luncheon this past October, you had the chance to meet superintendents from across the Tri-Valley. Are there any plans to branch out and start PATCH clubs in other school districts? We start clubs with the intention of helping others in our community; but often we find ourselves being helped as well. How would you say PATCH has helped you grow? What has been your biggest support system? Who are some of the people who inspired you the most? Allison: “Obviously, I couldn’t do all of this without the community and all their generosity and encouragement. It really means a lot to me, to have them support me through all of this. My club officers are always trying their best to help me out. Even though they may not understand everything I went through, they do their best to try and help these kids as well as they can. I also have to thank my parents: they’re the ones who really helped me through my original situation and they taught me that I could turn it around. I don’t think I would have figured that out without them. “One of my close family friends, Tiffany, helped me realize that I was loved and if people did have a negative reaction to my story, it would just be because it is an uncomfortable subject, not because they didn’t like me as a person. What is next for PATCH after you graduate high school? What’s next for you? Allison: “I do have some underclassmen who are interested in carrying on the club, which is really exciting for me, because knowing that they have the heart to keep it going is great. I have someone from Foster City who might start a branch there, which is cool. I want to continue with it in college, whether it’s starting a club in college or a non-profit. I feel like those would be the next steps, because I don’t want to let this go. Moving forward, how can the community help support this meaningful cause? 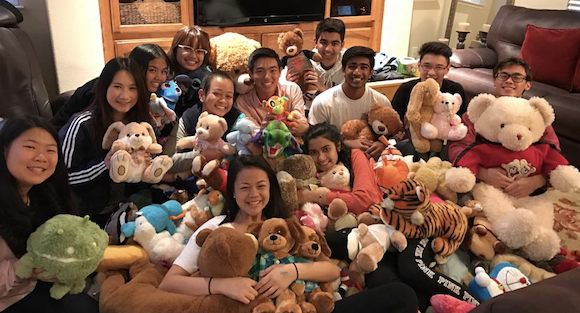 Allison: “This past year, PATCH donated 600 dolls and stuffed animals, and that’s only enough for half a year’s supply for CALICO. It’s really sad, actually. 600 seems like a lot, but when you think about it, it’s not even enough for a whole year. So if we could get more people to help out, that would help so many more kids. April is Child Abuse Awareness Month. PATCH will be selling “Take a Stand” stickers and organizing an all-out blue spirit day at Dublin High School. 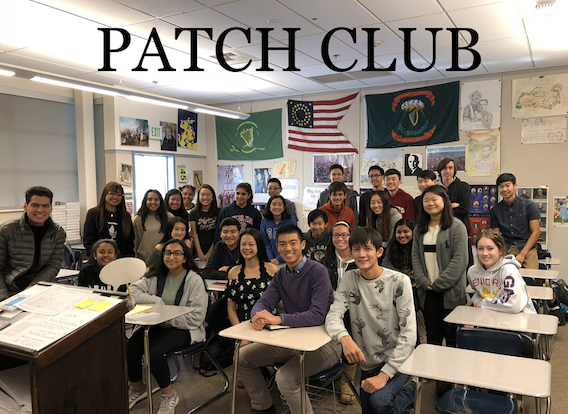 To learn more about PATCH club, visit their Instagram (https://www.instagram.com/dhspatch/) or Twitter (https://twitter.com/dhspatch) pages.